The head teacher of a Nottinghamshire village primary school has been banned from teaching for life over "racist and discriminatory" behaviour. Margaret Gretton, 47, was banned following a professional conduct panel hearing at the National College for Teaching and Leadership. 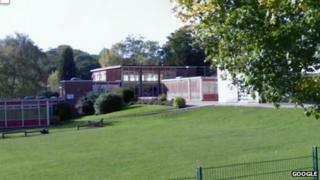 It ruled the former Burton Joyce Primary School head bullied staff and discriminated against disabled pupils. She was sacked by the county council at the beginning of 2014. Ms Gretton denied the accusations but did not appear at the panel hearing. The panel said Ms Gretton had "mocked" a male Asian job applicant and made "insulting, derogatory and racist" remarks to members of staff. It also reported Ms Gretton used terms such as "cuckoo" and "road kill" when referring to special needs pupils. She was found to have "intimidated and undermined" staff and "seriously abused her position of trust and power within the school". A charge that she had failed to stop pupils from watching "inappropriate" television shows on a school trip was not upheld. She was suspended from her role in 2012, prompting a suspension of the school's application for academy status. Nottinghamshire County Council took over the school the following year after it was placed in special measures by Ofsted. The ban, imposed by the Secretary of State for Education, means Ms Gretton is "prohibited from teaching indefinitely" in any school, sixth form college, youth accommodation or children's home in England.